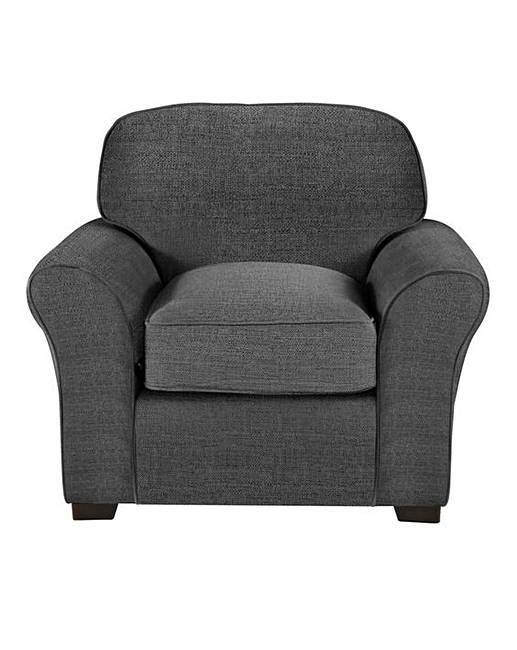 Country Collection Newbury Armchair is rated 4.9 out of 5 by 10. A part of the Country Collection, the Newbury armchair exudes simplicity that will be sure to stand the test of time. 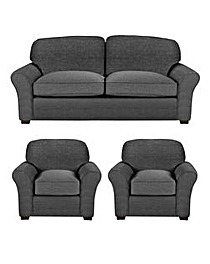 Featuring short legs and scrolled arms, the Newbury has been specially designed from a hardwood frame for durability and strength, teamed with Extraflex foam seating for comfort. Being a part of the Country Collection also means that the Newbury armchair is fully customisable with a choice of fabrics and colours to complement your existing living space. Made in the UK. 2 year manufacturer's guarantee. H.94 x W.104 x D.95cm. 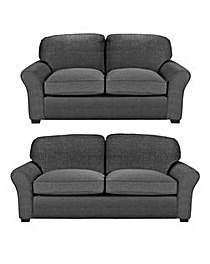 Seat area: W.57 x D.55cm. Seat height from floor: 52cm. Rated 5 out of 5 by Smithy from So comfortable I am so happy that i bought this it is so comfortable and fits in my room perfect. Rated 5 out of 5 by Jas33 from very comfortable I got this last week , and it's very nice . Stylish , well made . Looks like it cost more than it actually did . Rated 5 out of 5 by janmanjanet from Great Chair and British Made My dad is 91 this year and he finds it so comfortable The chair was an excellent buy. 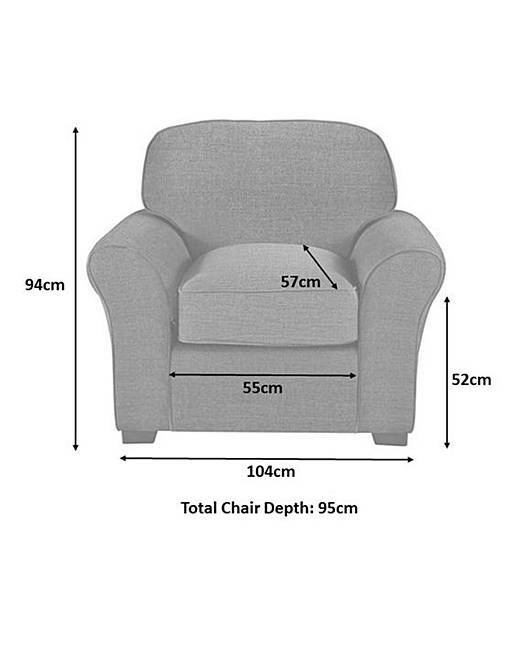 However, make sure you measure the space as it is a really big chair. 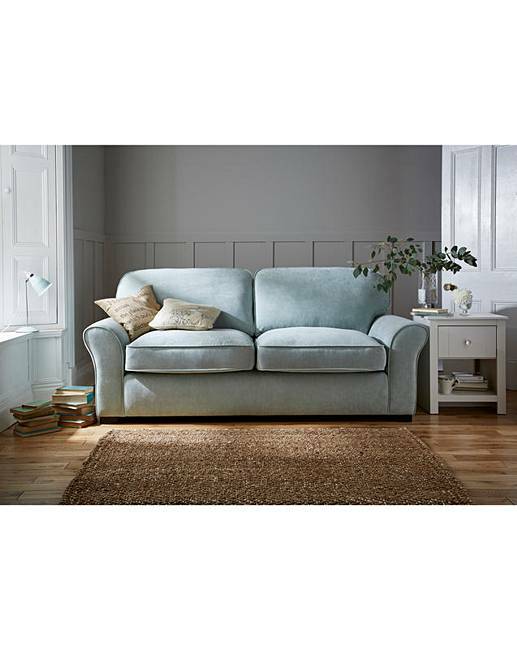 Rated 5 out of 5 by Jane 6 from Really nice and very comfortable I bought this plus two two seater settees and am delighted with it. Rated 5 out of 5 by Port from Good Value! Arrived today and love it! It is lovely and high so easy to get up and down from. Beautifully plump cushion to sit on and overall looks and size make my living room look amazing. I chose the grace natural colour option and it blends in well with my decor.